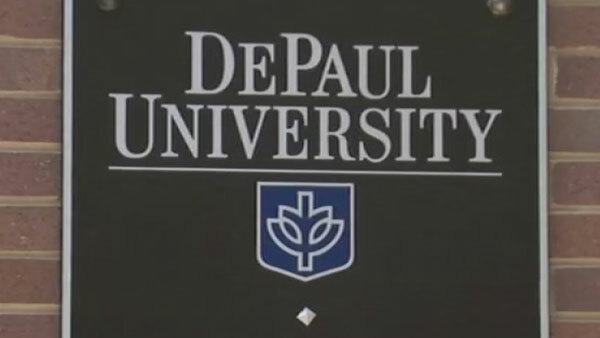 CHICAGO (WLS) -- DePaul University has announced that Dr. A. Gabriel Esteban will serve as the universities 12th president. The university made the announcement Thursday morning at the Student Center of the Lincoln Park campus. Dr. Esteban previously served as president of Seton Hall University in New Jersey. "DePaul University has an excellent academic reputation, and I am honored to have the opportunity to shape its future in partnership with the university community," Esteban said. "In my conversations with DePaul's students, faculty and staff, the distinct commitment to the university's mission and values strongly resonated with my own personal beliefs. My family and I look forward to joining the DePaul community." Dr. Esteban is the first lay leader in DePaul's history. "Dr. Esteban brings both extensive experience in higher education and strategic planning to DePaul University," said William E. Bennett, chair of the Board of Trustees. "I am confident he will preserve and continue to enhance DePaul's reputation for academic excellence, as well as the university's Catholic and Vincentian mission." The university livestreamed the announcement at on its website. The new president will assume the leadership role on July 1, when the Rev. Dennis Holtschneider leaves.